Coimbatore : The District members of the All India Muslim League petitioned the District Collector on Monday urging for protection of the Western Ghats' fauna and flora, near Coimbatore. 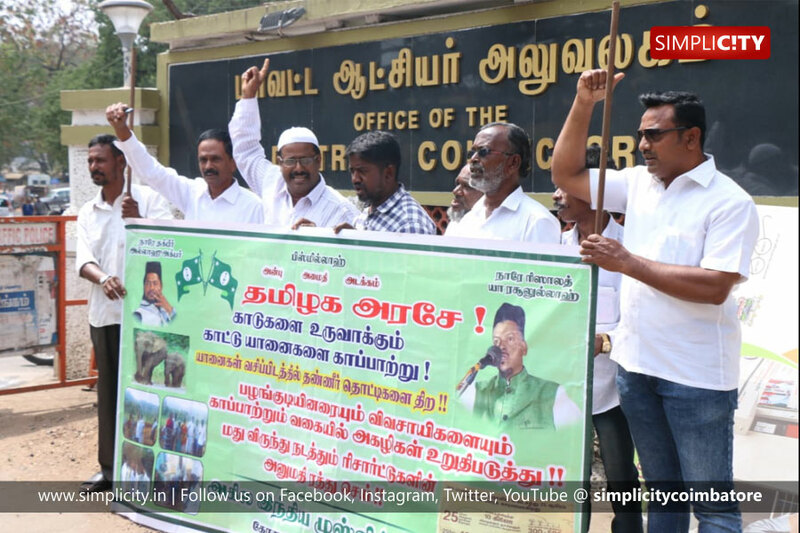 Slamming the capture of Cinna Thambi as 'unnecessary,' the members urged the district administration to bring back the elephant to Chinna Thadagam. The petition also elaborated on the richness of the Western Ghats that lie along the Coimbatore stretch and how illegal encroachments have been exploiting the wealth of the Ghat areas. "Illegal encroachments along the belt has largely altered the habitat of wild animals, especially elephants. Experts say that elephants are the guardians of the forest and their presence ensures balance in bio diversity." noted their petition. Hence, they have urged the District Collector to initiate stern action against encroachers and thus protect the region's bio diversity.